Road trips are a fun experience, but not when you don’t have enough cargo space and everything you want to take with you is sitting on top of you, making your long drive uncomfortable or even dangerous. In most cases, a vehicle with exterior cargo is limited unless you have a truck bed or trailer connected to your vehicle. So what can drivers do when they don’t have either option? We have some suggestions to make sure your next vacation provides comfort from even before you log the first mile driven. From a packing up and cargo standard point, ensure you haven’t overpacked. If you’re going on a trip for three days, don’t pack a week’s worth of clothes. Know what you’ll be wearing and at most include one extra outfit as a “just incase” should you need it. Limiting what you take with you in your vehicle will free up space and provide extra room you’ll have in your entire cabin. Don’t forget, you can gain considerable storage space with the help of your roof. We commend finding a suitable roof rack that keeps all contents secure and safe from weather. The 2018 Dodge Journey, 2018 Dodge Grand Caravan and 2018 Dodge Durango are all available with roof rails that make it easy for users to attach cargo to. If your current vehicle doesn’t have a roof rack, Dodge offers roof racks available through Mopar, their parts company. 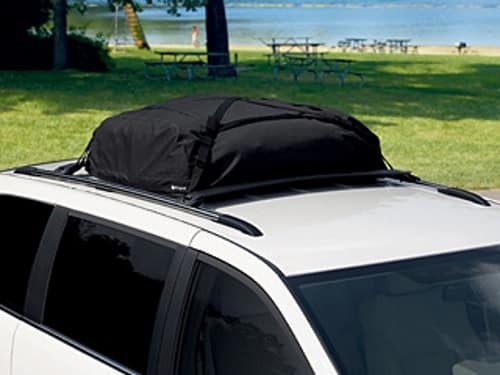 There are plenty of cargo support items including roof racks and rooftop carriers to help make your road trips easier. A rooftop carrier is a substantial help and can easily be mounted to the roof. But before taking off, just be sure to make sure your vehicle’s cargo carrier is secure and know what your roof can support. There are various sizes for exterior carriers as well, which could be a traditional plastic storage container or a bag that costs less. These bags provide the same level of weather protection as cargo carriers and can sometimes offer more cargo space. While you might think you need an entire trailer to haul everything sometimes, there’s tools like exterior cargo carriers that are small enough for a smaller vehicle to tow and this allows for drivers to keep their contents safe and provide ample room for passengers inside their vehicle or provide even further storage inside your vehicle as the exterior cargo carrier can be a secondary option to hold everything else. Proper road trips can only be started once you know your vehicle’s inventory. Make sure to remove any unnecessary items from your vehicle’s compartments, including old and expired insurance information, ancient receipts or just plain junk. For those that have filled their vehicle with an over abundant amount of napkins, and filled useful storage space with items they won’t use, consider purging these areas to ensure ample space for necessities for your road trip. Knowing your vehicle inside and out will make everything easier before you ever take off. Before the next family trip or weekend road adventure, make sure you have an inventory checklist for anything you’ll need during your long drive. Go over your exterior cargo to ensure its safely secure. Know your route and plan for any stops. Maps are a thing of the past with GPS enabled smartphones, but aren’t a bad idea if you’re wary about losing cellular service in the event of an emergency. Also, remember to take extra pillows for passengers and never drive if you’re packed to the point where your passengers don’t have enough room to wear their seatbelts. If you’re not satisfied with your current vehicle or just want to celebrate your next trip with a brand new vehicle that provides everything you’re looking for, there’s one place to visit. 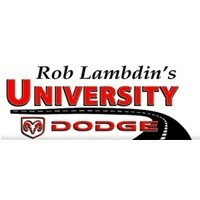 Your friends at University Dodge are professional, helpful and can help you find the vehicle you want. If you want more ample interior room, a larger vehicle to make things easier for your upcoming road trips or just want to find the right vehicle for you, stop on by. We welcome you to check out our newest vehicles and our collection of pre-owned vehicles. If you’re in the market to trade-in or sell your vehicle, we can help you out as well. Stop by and experience the difference you’ll find at University Dodge and we look forward to helping you go on your road trip the right way!